There are several international sport governing organizations which organize World Championship and similar competitions in mountain running, trail running and sky running. The following is a list of those competitions, who organizes them and how American athletes can qualify. There are competitions for athletes ranging in ages from 14 to 79 years old; many require qualification but some do not. The first of these competitions was held in 1985 with the most recent founded just last year. Seven of the competitions listed below are affiliated with the International Association of Athletics Federations (IAAF) – the worldwide sports governing organization for several disciplines including track & field (athletics), road running, race walking, cross country, mountain running, ultra running and trail running. USA Track & Field is recognized by IAAF as the official athletics federation for the United States. 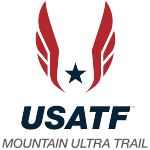 With the exception of the World Masters Mountain Running Championships, USATF approves all teams competing in IAAF affiliated events. 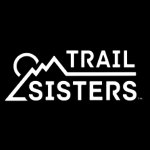 For a full list of USATF mountain, ultra & trail national championships open to all runners check out this article. 2013 World Junior Mountain Running Champion Mandy Ortiz with team staff members Nancy Hobbs & Paul Kirsch. Mikey Connolly (Seward, Alaska) – U.S. team member for the 2018 Youth Skyrunning World Championships. Joslin Blair, 1st place, 2018 Mountain Running International Youth Cup (U18). Photo Credit Maurizio Torri & Francesco Lietti. 2016 World Mountain Running Champion Joe Gray at the awards ceremony in Bulgaria. Meghan Roche at the 2017 NACAC Mountain Running Championships in Golden, Canada. Megan Kimmel at the 2015 World Long Distance Mountain Running Championships in Zermatt, SUI. Courses: Long 10 km, 1100 m of ascent (M35 to M50). Short 7 km, 900 m of ascent (M55 to M75 & Women). Editors Note: starting in 2019, men & women in the same age categories will run the same course. Older athletes will run a short course; age break TBD. Nancy Hobbs at the 2018 Masters Mountain Running Championships in Slovenia. 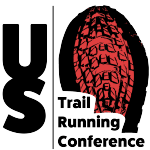 Selection criteria: In order to be eligible to compete in the Collegiate Running Association Mountain Running Championships, participants must either be enrolled in a college course at the time of the race or have completed a course during the spring semester (between January 1 and July 8, 2018). Collegiate participants must also be free members of the Collegiate Running Association to be eligible for the collegiate prize money. Patrick Smyth takes home the big check at the 2014 Collegiate Mountain Running Championships. Age requirements: Not defined. The race is open to incoming freshman through 2018 high school graduates. Selection criteria: Open to all current high school athletes and is extended to include incoming freshman and 2018 high school graduates. There is no qualifying race for the NHSTC. However, due to course limitations, race sizes are capped when maximum numbers are reached. The NHSTC will crown a team champion and individual champion for the girls and boys. Runners at the inaugural National High School Trail Championships.